In the United States, approximately 3 million people have celiac disease; 21 million people have this disease or are sensitive to gluten. Of the 3 million who have this disease only 5% know they have it. This awareness event aims, in part, to make more people aware that they may have this disease and that by eating gluten free foods, they can eliminate their symptoms. Celiac disease is a genetic autoimmune disorder whereby the ingestion of gluten leads to damage in the small intestine. The small intestine is part of the gut which digests and absorbs nutrients from food. Once damaged, nutrient absorption is reduced and you become malnourished regardless of the amount of food you consume. Approximately eighty percent of your immune system resides in your gut. The body’s immune system is designed to protect itself from foreign invaders. When an individual with celiac disease consumes gluten, their immune system forms antibodies to the gluten and attacks the gut lining. This, in turn, causes inflammation that damages the intestinal lining and malabsorption of nutrients occurs. Family history – if you have a close relative with the condition, such as a parent or sibling, your chance of developing it is higher. Environmental factors – including an infection of the digestive system during early childhood play a part in the development of the disease. Other health conditions – type 1 diabetes, ulcerative colitis, and neurological disorders (those that affect the brain and nervous system, such as epilepsy). As previously mentioned, the treatment for this disease is very matter of fact; avoid all foods which contain gluten, including wheat, rye, barley, and oats. 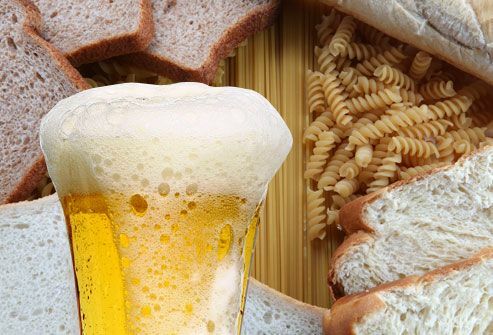 Once gluten has been eliminated from the diet, the intestinal lining is usually healed within six months. However, you’ll have to remain on a gluten-free diet for the rest of your life because any subsequent ingestion of gluten can damage your intestinal lining and restart the problem.